I have loved the miniature form of the early mugs ornaments. 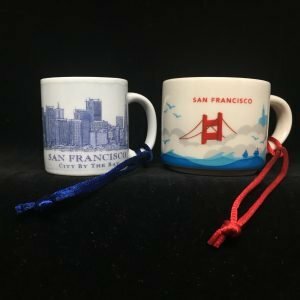 The Architecture, City Scenes, and Skyline series are just a charming representation of the full size mugs in my estimation. The new YAH ornaments are also nice but appear a bit larger and, to my taste, a bit clunkier. I was sharing my thoughts on this a while back and decided to prove my point by showing that one was 2oz and the other 3oz. I had just figured the YAH were larger. But to my surprise they both stated 2oz. I let it go thinking that perhaps it is was just the shape difference or the porcelain thickness that could account for this disparity. But not being satisfied, I decided to get scientific. 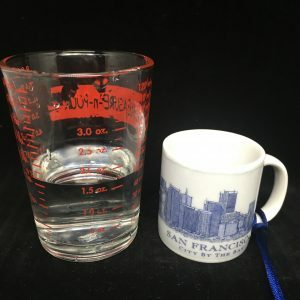 😉 I brought out a measuring cup and took the contents of each mug and poured it into the cup. 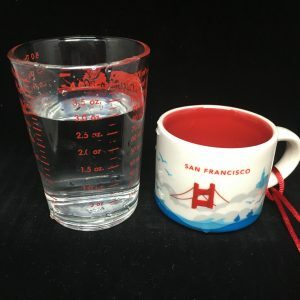 Even more surprising than the stated size being the same, is that neither is actually 2oz at all. The smaller Architecture series is around 1.5oz and the YAH is nearly 3oz. Virtually twice the size. 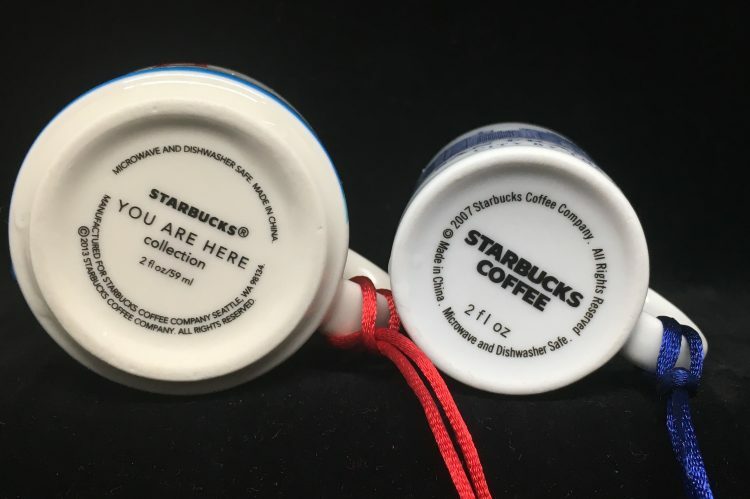 I can’t account for why the mugs are so clearly mislabeled, but let’s hope Starbucks is better at measuring our drinks.